Our world-class collection of string quartets, guitarists, woodwind musicians and other classical musicians perform music by composers such as Bach, Handel, Mozart and Debussy – perfect for wedding ceremonies, receptions and dinners as well as corporate events that command a sophisticated ambience. Many of our classical musicians also perform classical arrangements of pop, jazz, opera and film music, to ensure a diverse set that caters to all musical tastes. Hire classical wedding musicians to serenade you down the aisle or provide an easy-to-talk-over musical soundtrack to your drinks reception or meal. Since all our classical music groups perform acoustically (i.e. instruments only, with no heavy equipment) they can move with ease between church, reception and wedding meal, so the music never has to stop. They can also play outdoors, provided they’re sheltered from the rain and sun. If you’re planning a special event to appreciate musical virtuosity and make classical musicians centre stage, why not book some chamber musicians for a sit-down recital? Also see string quartets, harpists and classical guitarists. Our most popular harpist in London, Marie performs a broad selection of classical favourites, modern pop songs, jazz standards, traditional folk tunes and Bollywood anthems. Also available as a harp/flute duo. Experienced & elegant, Clemenza are widely regarded as London’s leading corporate and wedding string ensemble. They’ve performed for royalty, toured with Katie Melua and been headhunted for celebrity weddings! Duo, trio or quartet options available. Highly skilled guitarist performing an eclectic mix of flamenco, latin, jazz and world guitar styles, rich and exciting enough for the more attentive listeners, but mellow enough to be used as background music during receptions or dinners. 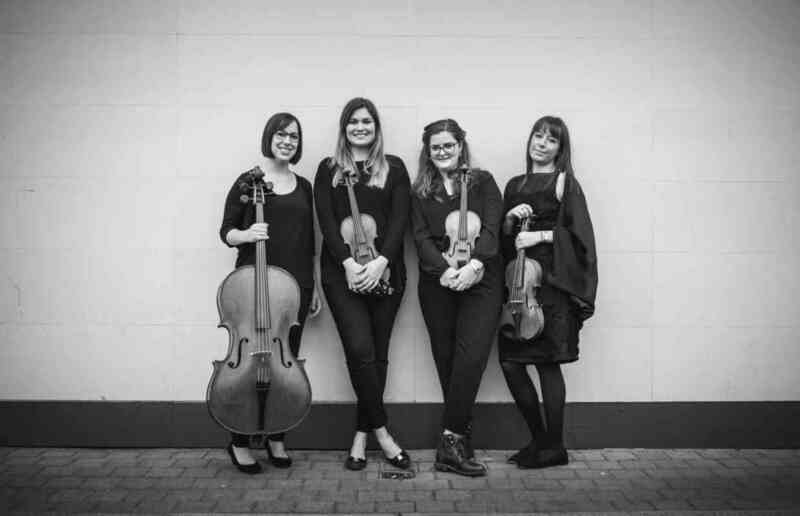 Highly professional string quartet based in the North West, specialising in providing live music for weddings, corporate functions and product launches. Impressive repertoire including classical, pop, jazz & folk music. Classically trained soprano singer with a repertoire including opera, jazz, pop and musical theatre. A fantastic highly experienced string quartet playing anything from classical to rock, pop and jazz! Trio also available. Gifted harpist who has worked with CBSO, the Royal Shakespeare Company and the New Bristol Sinfonia. Choose from classical pieces by Bach and Mozart, popular songs from Elvis and the Beatles or music from shows and films. 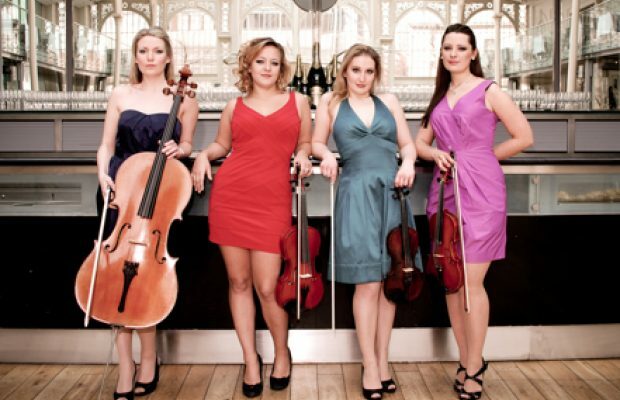 A well-established string quartet with years of experience playing at weddings and corporate functions across the UK. With their extensive repertoire playing Bach and Mozart to Coldplay and The Killers, they can cater for any event! 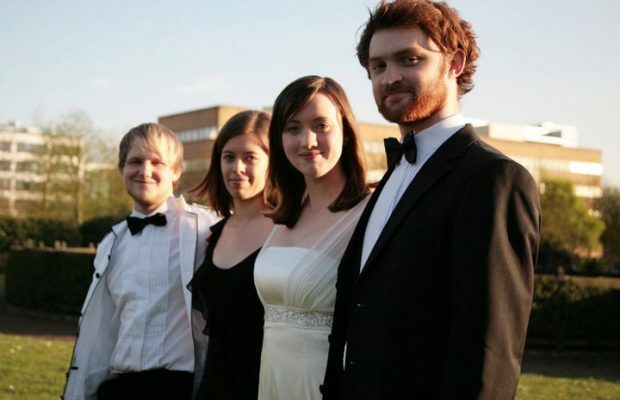 Young and vibrant string quartet with a large repertoire of jazz, pop and classical wedding music. Iris are much in demand for weddings and corporate events and having performed at prestigious venues such as The Lancaster Hotel and The Painted Hall. Sensitive, non-intrusive classical guitarist performing beautiful background music for receptions, dinners and events. Mike’s wide repertoire includes pop music as well as classical favourites. Stunning classical trumpeter available for your ceremony procession, signing of the register or bridal exit… or all three! 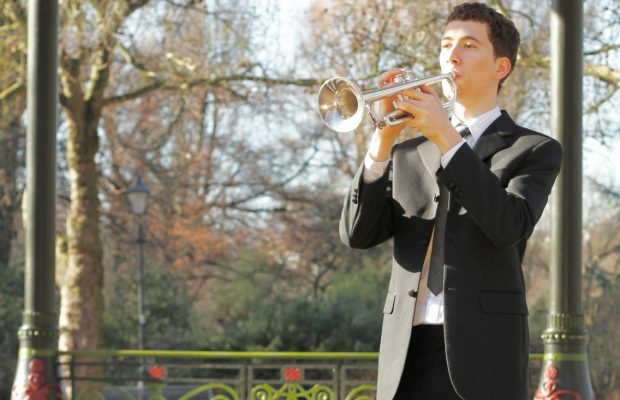 The Wedding Trumpeter provides professional trumpet playing to add that something special to your wedding day. Talented pianist with an extensive repertoire of classical favourites by composers such as Bach and Mozart as well as beautiful arrangements of contemporary rock and pop tunes by Adele, Coldplay and more. Diverse classical singer who has appeared on The Voice and at Wembley Stadium. Pianist also available. 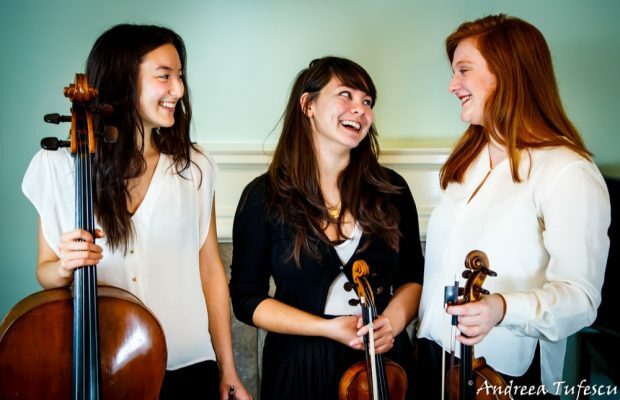 Young and professional string trio/quartet with a large range of material spanning classical, pop, Jewish and jazz – guaranteed to add a touch of class to your wedding, party or corporate event! Wonderful string quartet playing everything from Classical to modern pop. 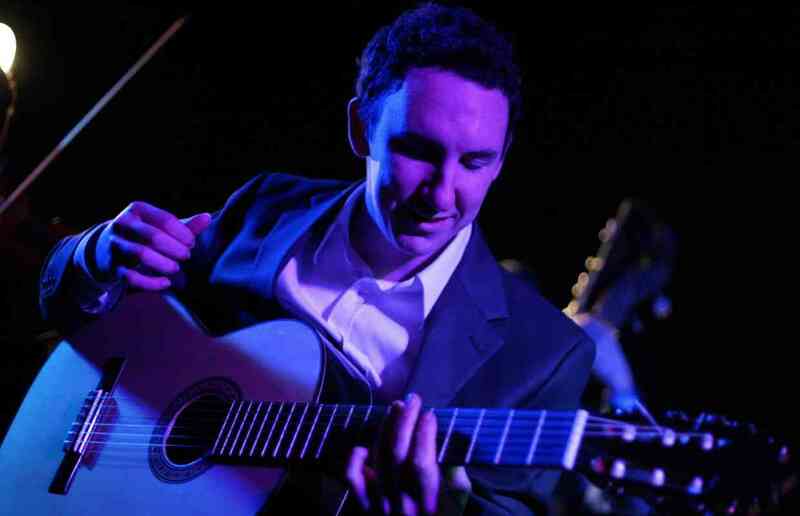 Skilled classical guitar player whose repertoire draws from a broad spectrum of styles including classical, Spanish, Latin, jazz and instrumental pop & rock covers – the perfect soundtrack to your event. Sorrento’s enormous repertoire takes in classical and romantic favourites as well as arrangements of pop, opera, film, ballet, jazz, traditional and even French music! They’ve worked with the Lightning Seeds and Richard Ashcroft (The Verve) and toured the world on Saga cruise ships. Refined cello duo playing a range of classical, popular, jazz, folk, traditional and Bollywood music. The duo have played with orchestras and bands, in theatres, at festivals and on TV and radio all over the world! Cello quartet also available. 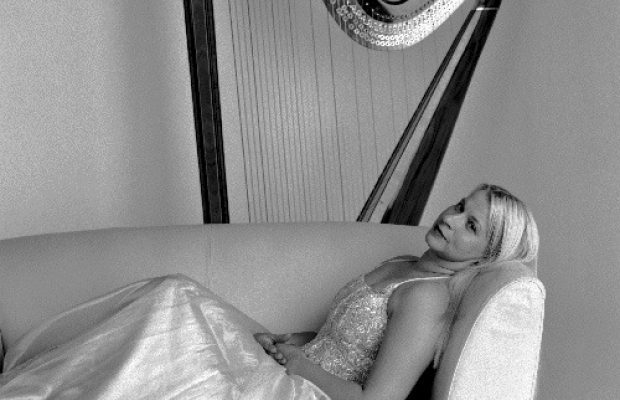 Gifted and elegant harpist performing a wide range of material including classical, popular, Irish & Scottish folk music, Gershwin and songs from the musicals. Extensive experience playing at weddings, hotels and restaurants across the UK. Also available as a flute/harp duo. 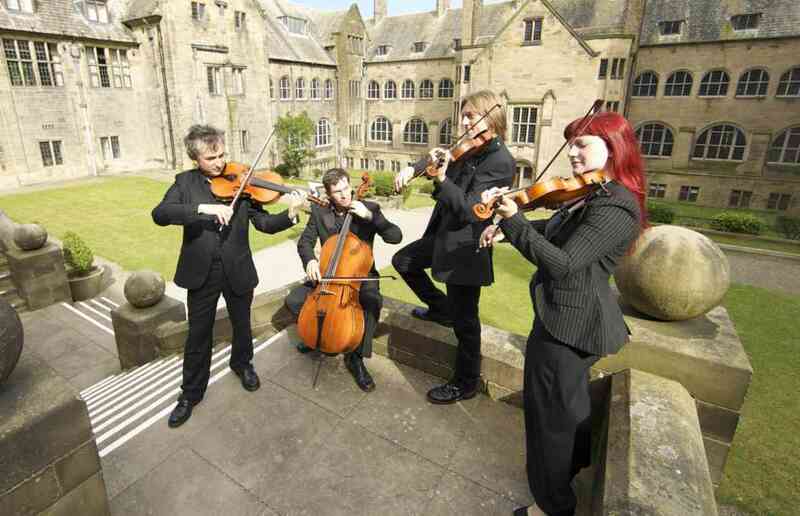 Young and lively corporate and wedding string quartet who were recently shortlisted in the Welsh National Wedding Awards. Duo, trio and quartet options available. Unique electric string group with a fantastic repertoire and an electric crossover show that is guaranteed to impress. This energetic quartet have been wowing audiences all over the world, including France, Italy, Germany and Spain. 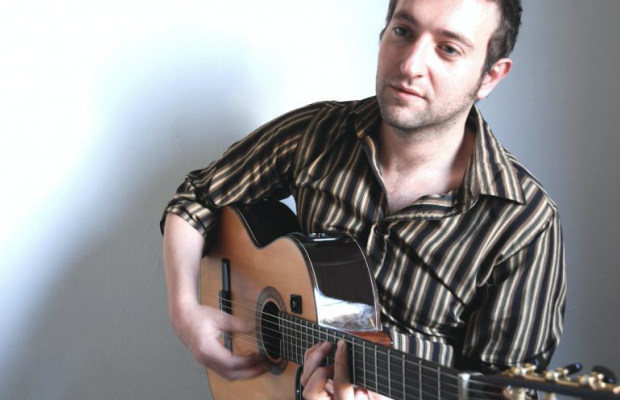 Professional guitarist specialising in Spanish and classical styles, but also adept at playing arrangements of jazz and pop music, from Bob Marley to The Beatles. A great choice for wedding ceremonies and drinks receptions. Sophisticated classical guitar player who will bring a touch of elegance to your reception or event. His repertoire includes jazz, blues and contemporary pop and rock, as well as classical wedding music. Adaptable classical guitarist with a large repertoire bridging a range of styles, from classical to jazz to pop and world music. Alan has enchanted audiences and critics alike with his virtuosity and range of expression. 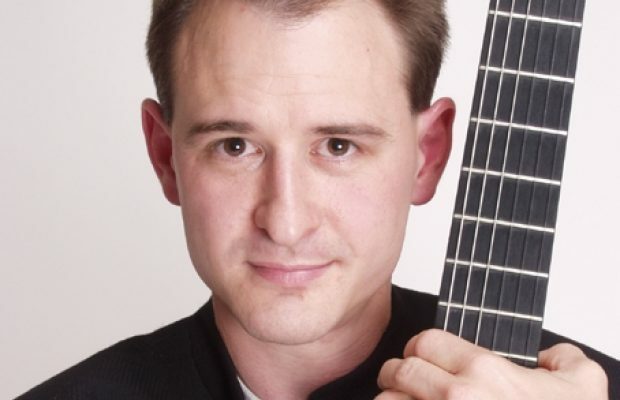 Award-winning virtuoso guitarist who tours internationally, showcasing his virtuoso abilities and performing a selection of Spanish and classical pieces. He will add the perfect touch of sophistication to your event.